Sweden’s Dark Legacy has taken quite some time to complete their second full length. To be more precise, half a decade has gone by since the release of the debut album “Ad Extrenum Epilogue”. The sophomore release “The Rejects” comes in a very tight fit that can barely be classified as a full length clocking in at just 28 minutes in length, and takes a different approach to symphonic death metal compared to what the defining names of this sub-genre have lead us to expect. It’s less aggressive, more melodic and simple to digest, and it also throws a few surprises. For starters, the intro to the record showcases a combo of battle drums and trumpets that almost would lead one to expect a folk/pagan album instead. With the first actual song “Land of Sorrow”, the Swedes give us their version of symphonic fragranced metal with a strong emphasis on keyboard work and the overall orchestral element. 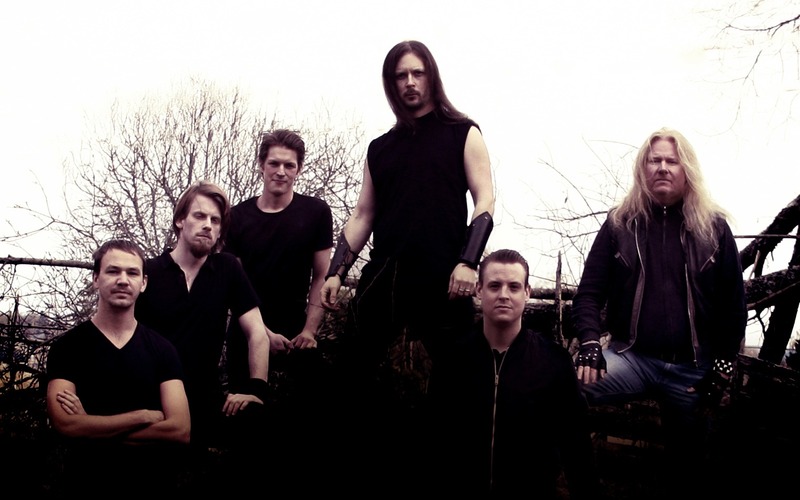 The band lists as influences groups like My Dying Bride, Edge of Sanity and Opeth but also relies on a lot of classical music touches from composers like J. S. Bach, W. A. Mozart or Edvard Grieg. Mikael Dagobert’s keyboard playing slips into this classical style of creating harmonies with a bit of a baroque feel. He approaches lots of different sounds and interpretations from synths to piano and even church organs and harpsichord (see intros to track 6 “Metal Warrior” and the title track). I think that the symphonic classical influence is the album’s greatest asset considering that the band doesn’t really excel in the metal department so much, mostly due to the rather tired leading harsh vocals and the not so brilliant guitar tones. I also felt a bit of a Viking influence in the grunting but for me it failed to convey the intended aggression. There are also clean vocals present further enhancing the melodic aspect. The guitar parts are very melodic but quite basic on the riffing and the drums are also pretty standard for a melodic death metal album. It feels rather boring and plods along slow tempos through a constant mournful atmosphere but fails to keep one interested. So that’s the recipe. 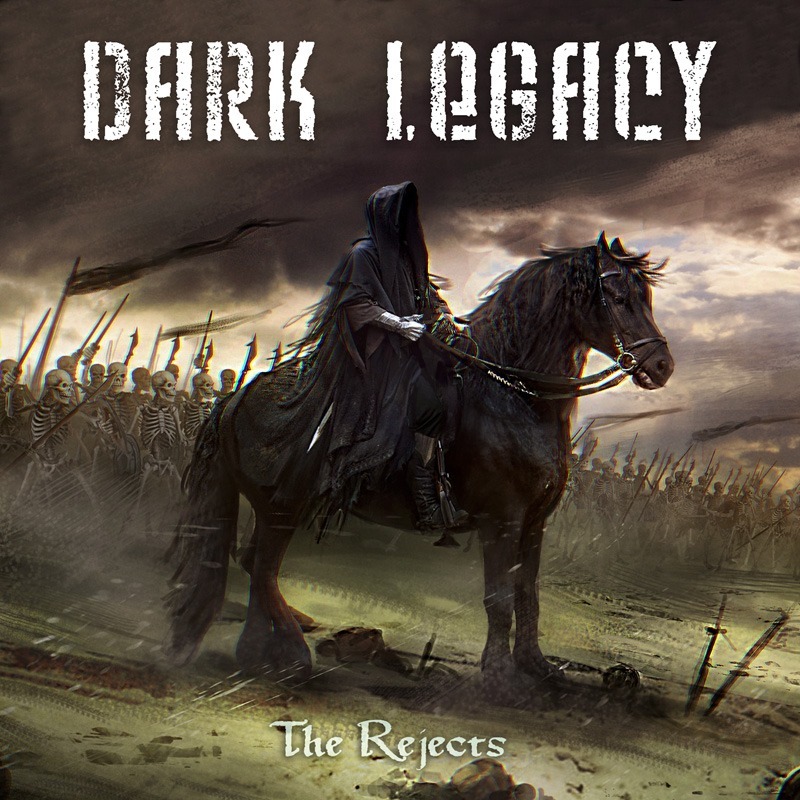 Dark Legacy does melody and baroque influences very well but isn’t exactly good in the heavy department. I found this album somehow refreshing and quite surprising for the genre tag associated to it which is what makes it work for the most part despite the drawbacks in execution. To add a bit of mystery, I’m not sure if this is a concept album but some hints lead in that direction. In an interview the band stated that the title track is about people that are outcasts (pirates, witches) which is a fantasy topic that could easily have a story built around it, but I cannot confirm that it extends to the rest of the songs. The Rejects was mastered by Dan Swano and will see the light of day on March 29th through Black Vulture Records. This entry was posted in Bands, Death Metal, Reviews and tagged 7/10, Dark Legacy, Death/doom, LP, Sweden, symphonic death, The Rejects.